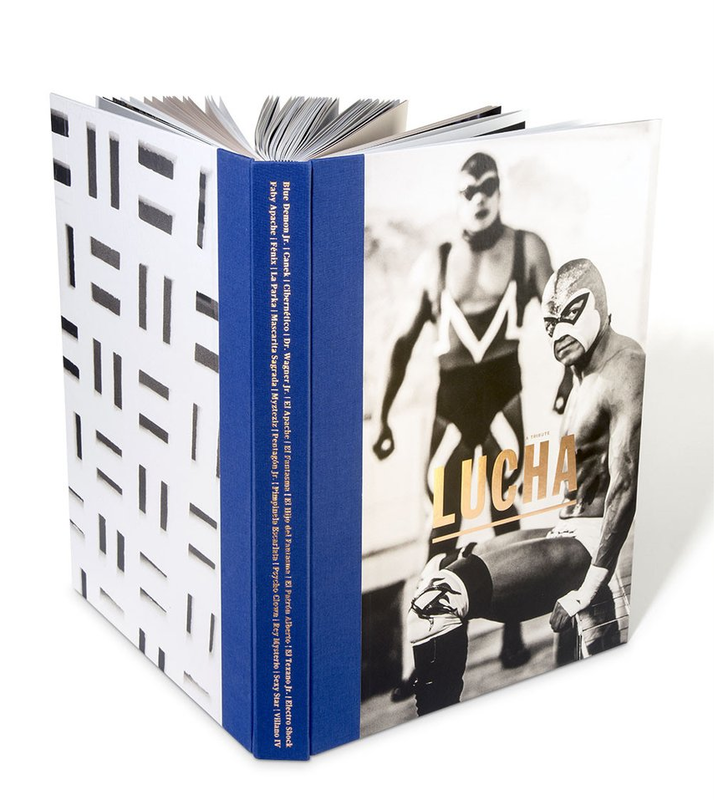 Lucha: A Tribute is a visually stunning photographic journey into the world of the Luchador as it’s never been seen before, thanks to renowned photographer Andreas Neumann and editor Paola González Vargas. In partnership with LUCHA Triple AAA, rarely has such open access to the Luchadores been given. Under Neumann’s searing eye, we witness for the first time the life and legacy that is their calling: mythical, magical, poignant, sometimes harsh and deeply human. The Luchadores themselves have opened their hearts to tell their stories in their own words. Interspersed with the imagery, these raw, honest and often heartbreaking narratives step behind the mask to reveal the high price they pay emotionally and physically to be part of Lucha Libre, the sacrifices they must make and the tremendous impact it has on their families. In the hands of award-winning Blok Design, who designed and curated the hand-bound Spanish/English publication, the content follows this emotional arc, shifting from moments of greatness to moments of loneliness and loss. Materiality and colors draw from the many visual vocabularies that exist in the lucha culture but are given a fresh and highly contemporary spin, from the use of blues and coppers to incorporating vintage street posters from Blok’s own library and historical photographs printed as they would have been in old trade magazines. The result is a fascinating book that in its many dimensions elevates lucha libre from being simply a sport or a folkloric aspect of Mexican culture, and that truly celebrates and honors the indomitable spirit of hope, endurance, courage and passion that prevails in the men and women for whom lucha is their destiny.